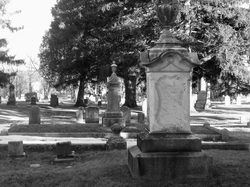 Donations and bequests/"leave a legacy"
The Black River Cemetery, established in 1890, has never been in the position where we felt obligated to solicit financial support from our lot owners or their family members, but due to ever increasing costs for fuel, insurances, and other basic maintenance required to keep our cemetery in good condition, we are asking for your help. If the current trend continues, we will have to turn over care to other sources who may not have the time or interest in maintaining the cemetery the way our loved ones so deserve. This has already happened to many cemeteries statewide and we don't want ours to fall victim to the same fate. Any donations, no matter the amount, will be greatly appreciated. Thank you for you support.